Classical Eska, with his melodic voice, charming personality and charismatic stage performance, is regarded as one of the best new talent coming out of Jamaica. He has introduced himself to the world as a spiritual and conscious artist. Born Tovan Murdock on September 9th 1983, Classical Eska grew up in Portmore, Jamaica. He attended Greater Portmore High school where he excelled in sports and represented his school in football at the Colts and Manning Cup levels. After graduating, he decided to pursue his avid interest in music. He rechristened himself Classical Eska, a name that was given to him by members of his community and he then began his musical journey. Classical Eska debut single “No Matter Dem” was produced by Delon Reid, the single was on regular rotation in Jamaica. His next single “No War” featuring Chaka Demus produced by chaka Demus was aired throughout the Caribbean and the United States on numerous radio stations. Following up on the success of his second single, he was approached by music producer 92Fs, he recorded two songs with him “In Love” and his critically-acclaimed collaboration with Sizzla “Nah Live Up”. But it didnt stop there Classical Eska has been searing the airwaves of Sun City Radio in Portmore, ZIP, HITZ, and IRIE with a new single called 'Judgement' which was realeased in 2012 on the Romance rhythm for the Waggy Ras label. The rhythm also features several entertainment heavyweights, but surprisingly, Classical Eska has one of the standout tracks. The Track 'Judgement' is by far one of Classical Eska Biggest tracks uptile this day forth. 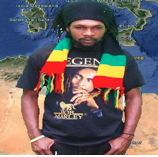 Waggy Ras label has placed Classical Eska on the worldwide map with this song. Continuing on the path to take his career to the ultimate level, in 2014 Classical Eska signed a management, booking and recording contract with WaggyRass Records/ Le-gions Music based in Atlanta. With his melodic voice, charismatic stage performance and conscious songs there is no doubt that Classical Eska will play a great role in the revolution of Jamaica's music across the globe. Please contact us at Jack Russell Music if you would like to use any of Classical Eska’s compositions for film, television, electronic media or covers.